We are excited to welcome Professor Michael Solomon as our esteemed Keynote Academic. Michael R. Solomon, Ph.D. is Professor of Marketing and Director of the Center for Consumer Research in the Haub School of Business at Saint Joseph’s University in Philadelphia. As a Professor of Marketing (in the Haub School of Business at Saint Joseph’s University in Philadelphia) and an industry consultant, Michael combines cutting-edge academic theory with actionable real-world strategies. He helps managers get inside the heads of their customers so they can anticipate and satisfy their deepest and most pressing needs – today and tomorrow. An executive at Subaru said it best: “The man is a scholar who is current and street-wise.” Michael “wrote the book” on understanding consumers. Literally. Hundreds of thousands of business students have learned about Marketing from his books including Consumer Behavior: Buying, Having, and Being -- the most widely used book on the subject in the world. Michael’s mantra: We don’t buy products because of what they do. We buy them because of what they mean. 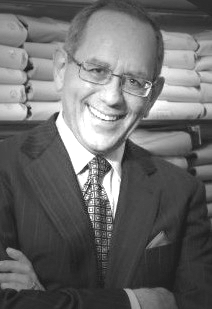 He advises global clients in leading industries such as apparel and footwear (Calvin Klein, Levi Strauss, Under Armour, Timberland), financial services and e-commerce (eBay, Progressive), CPG (Procter & Gamble, Campbell’s), retailing (H&M), sports (Philadelphia Eagles), manufacturing (DuPont, PP&G) and transportation (BMW, United Airlines) on marketing strategies to make them more consumer-centric. He regularly appears on television shows including The Today Show, Good Morning America and CNN to comment on consumer issues, and he is frequently quoted in major media outlets such as The New York Times, USA Today, Adweek and Time.